Christian Ferlaino is an Italian-born saxophonist, improviser, composer and ethnomusicologist currently living and working in Berlin. An eclectic fragmentation characterises his musical activity: as a bagpiper and accordion player, he plays traditional music from Central-Calabria. 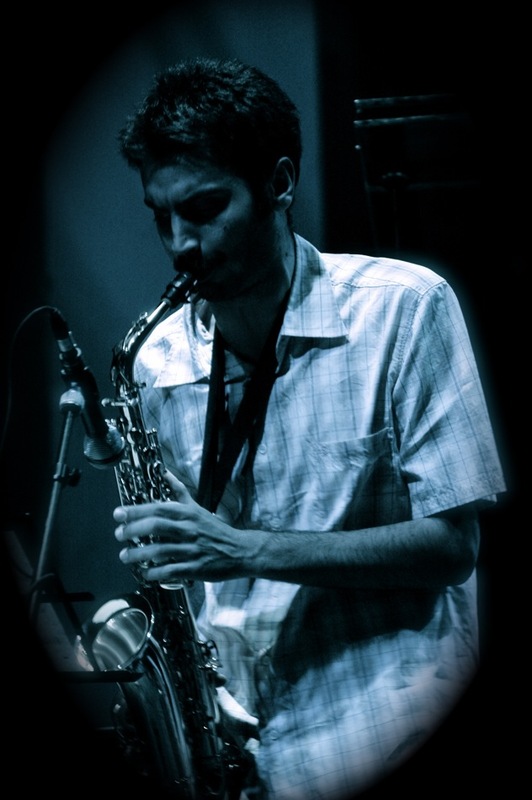 As a saxophone player, he has performed many different genres of popular music such as cumbia, Balkan music, funk, rock, jazz and free improvisation. As a composer-improviser, he is influenced by European, American, and Afro-American contemporary music; his work explores the relationships between composition and improvisation, and the expressive potential of improvised music. Furthermore, he is interested in improvisation as a social and collaborative creative process that provides opportunities to develop new ways of working musically. His musical research focuses on creatively engaging with the sonic and musical realm of Calabria, with special attention to its performing techniques and approach to sound and music generation. He participated in European improvisation scenes in Bologna, Amsterdam and Edinburgh, where he lived and worked. He collaborated and performed with musicians such as Anthony Braxton (Sonic Genome), Michael Moore, Dirk Bruinsma, Wilbert de Joode, Anne la Berge, Toby Delius, Han Bennink, Joost Buis, Yedo Gibson, Tristan Honsinger, Kaja Draksler, Onno Govaert, John Dikeman, Raymond MacDonald, Fabrizio Puglisi, Edoardo Marraffa, Nicola Guazzaloca. He worked with Solistenensemble Kaleidoskop and Cornelis de Bondt (Atelier Ensemble). He composes for ensembles of improvisers, both from the jazz and improvised music scene, as well as for contemporary music ensembles. He has written music for film, theatre, art installations and intermedia. His works have been performed, broadcast and reviewed worldwide.